Briana joined Aultman College in September 2016. 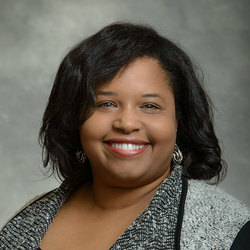 Her role as a financial aid administrator is a continuation of her interest in helping students achieve their goals that began as an undergraduate student at Marygrove College. She served as a tutor in the college's writing center for two years and graduated with a B.A. in English. Subsequently, she moved on to serve as a financial aid advisor at a previous college before coming to Aultman. Briana enjoys working in higher education administration and understands that providing financial aid resources with a focus on customer care is an essential component of helping students fulfill their dreams. When not at Aultman College, she looks forward to spending time with friends and family, is a life-long learner, and a voracious reader.